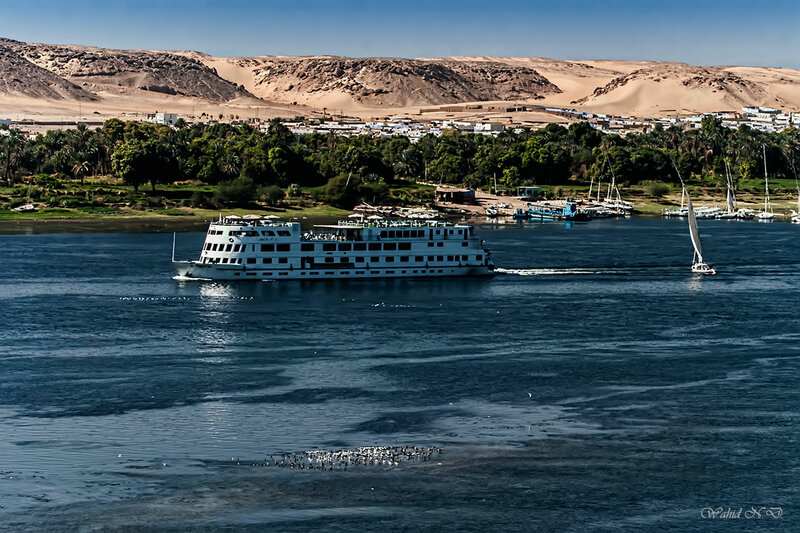 The River Nile at Aswan. Excellent composition, very imposing landscape. Congratulations! Beautiful view! The river, the trees and the sand in the background.